Originally a guitarist by trade, Teddy Walters worked with several bands, including those of Ray Noble and Raymond Scott, before joining fellow Philadelphian Charlie Ventura’s first orchestra in May 1942, where he received feature billing. 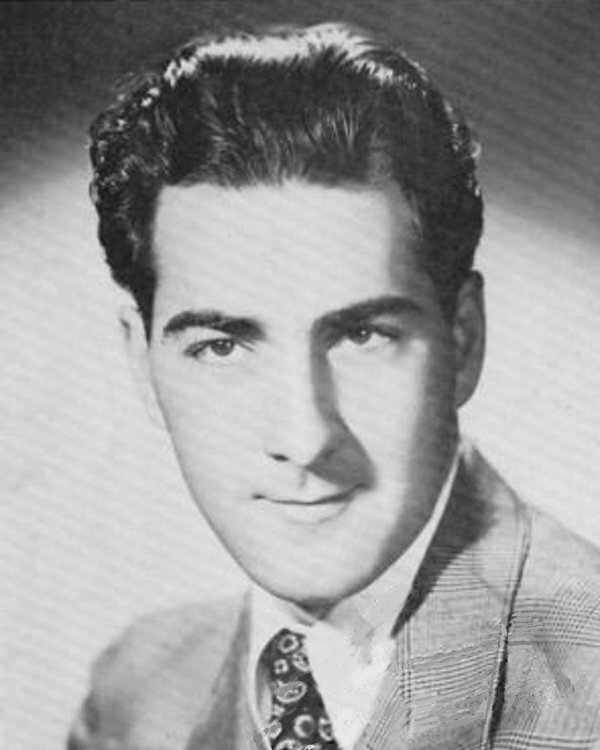 Walters’ guitar skills soon attracted the attention of Gene Krupa, who signed him away from Ventura that October. After Krupa’s arrest on trumped-up marijuana charges in early 1943, which caused his orchestra to disband, Walters worked with Ben Webster’s five-piece combo, rubbing elbows with such jazz greats as Billie Holiday and Coleman Hawkins. Walters joined Tommy Dorsey’s orchestra in late 1943. At the time, Dorsey was having trouble with male vocalists and found himself in need of a singer for upcoming engagements in New York. Knowing that Walters could sing, he put the guitarist in front of the mike that November, and audiences went wild. With a voice similar to that of Frank Sinatra, so much so that even critics had a hard time telling them apart, Walters became an overnight sensation. Dorsey knew a good thing when he saw one and offered Walters a five-year contract. The bandleader, though, also wanted a percentage of Walters’ future earnings should he go solo, and Walters’ manager refused. Walters left the band at the first of the year rather than sign. Dorsey tried several times over the next few months to get Walters back, but Walters wasn’t interested. He certainly didn’t lack for work. American Tobacco, the sponsor of Your Hit Parade, signed him as Sinatra’s stand-in should something happen to the more famous singer, who was then the current host of the show. Walters also kept busy as a musician on recordings with Cozy Cole and as part of Keynote’s jazz sessions disks. He also co-wrote, with Sid Robin, the song “(Yip Yip De Hootie) My Baby Said Yes,” made popular by Bing Crosby and Louis Jordan that year. Walters eventually ended up in the Dorsey fold once again, though this time with Jimmy. He signed with the elder Dorsey’s band in June 1944 as both a singer and guitarist. Again he caused a sensation. Audiences couldn’t get enough of his voice, demanding encore after encore. Critics also loved him. One heralded him as the most important male band vocalist of the last three years, though many noted his stiffness at the mike. Not trained as a professional singer, Walters’ delivery and general appearance were often rough. At the start, Walters’ career looked promising. He cracked the Top Ten during the week of April 13, 1946 with his recording of “Laughing on the Outside (Crying on the Inside),” which debuted at number nine on the charts. He signed with Musicraft soon after, where he recorded both solo and with Artie Shaw. None of Walters’ subsequent work, though, caught the public’s interest. He continued with Musicraft into early 1947 and appeared with Boyd Raeburn’s band in a Columbia musical short that same year. By 1948 however, his spotlight had faded, and he eventually returned to Philadelphia, where he made a failed comeback attempt in December 1950. Dorsey had a similar arrangement with Frank Sinatra. Sinatra eventually ended up buying Dorsey out of the contract. Tommy Dorsey was, beyond anything else, an astute businessman. The Online Discographical Project. Accessed 27 Jan. 2018. “Teddy Walters.” IMDb. Accessed 27 Jan. 2018. “Preems Ork in Music Shop!” Billboard 30 May 1942: 21. “Orchestra Notes.” Billboard 25 Jul. 1942: 25. “Holiday, Hawkins, Webster, Tatum, Pulling 'Em in and Knocking 'Em Out on 52nd St.” Billboard 16 Oct. 1943: 4. “Cat's Corner.” The SaMoJaC 24 Nov. 1943: 2. “T. Dorsey Wants Vocalist Walters.” Billboard 19 Feb. 1944: 13. “Keynote Set to Invade Longhair Jive Disk Field.” Billboard 4 Mar. 1944: 15. “Popular Record Reviews.” Billboard 6 May 1944: 19. “Sinatra's Stand In.” Billboard 10 Jun. 1944: 11. “Walters to Warble for JD.” Billboard 1 Jul. 1944: 15. “On the Stand: Jimmy Dorsey.” Billboard 12 Aug. 1944: 20. “Vaudeville Reviews: Capitol, New York.” Billboard 25 Nov. 1944: 29. “Morrow Gets His Break.” Billboard 2 Jun. 1945: 16. “Music as Written.” Billboard 13 Oct. 1945: 21. Advertisement. Billboard 15 Dec. 1945: 17. “Record Reviews.” Billboard 23 Mar. 1946: 130. “Records Most-Played on the Air.” Billboard 20 Apr. 1946: 29. “Most-Played Juke Box Records.” Billboard 18 May 1946: 117. “Music as Written.” Billboard 8 Jun. 1946: 24. “Records Most-Played on the Air.” Billboard 22 Jun. 1946: 28. “Advanced Record Releases.” Billboard 13 Jul. 1946: 33. “Reviews of New Records.” Billboard 13 Jul. 1946: 34. “The Billboard First Annual Music-Record Poll.” Billboard 4 Jan. 1947: 10. “Music as Written.” Billboard 22 Mar. 1947: 19. “Record Reviews.” Billboard 19 Apr. 1947: 118. “Chi Midnight Concerts Start.” Billboard 8 Jan. 1948: 17. “Music as Written.” Billboard 16 Dec. 1950: 16.